If you feel like hiking, jogging or cycling it'll be even more fun if you can share your routes with your friends and relatives. If you are planning a longer tour to a distant location it also makes sense to let someone know where are you now just in case. All this and everything else is possible now with GPSConnect's GPS location tracking services. 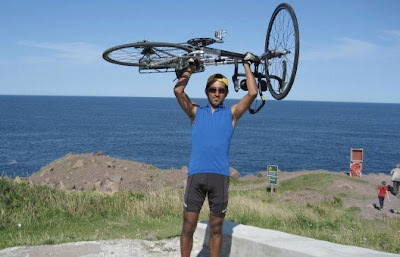 "The S-911 Personal Locator was the perfect GPS device for my cycling tour from Mississauga, ON to St. John's, NFLD. It was small, light-weight and easy to use. Family and friends were easily able to track my progress, daily distance, average speed and location. Everyone I talked to said how much fun they had tracking me on the web and that it made them feel like they were right there with me!" this is good post definitely it is helpful for the hiking, jogging or cycling and useful or new traveler they can used it as well .and the most important thing it is available on rent.GPS rental services to assist your personal or by car travel, vacation or tourist trip assistance.few people rent GPS Systems in Canada, USA, Europe and other countries.